We welcome in-kind contributions such as these items below. 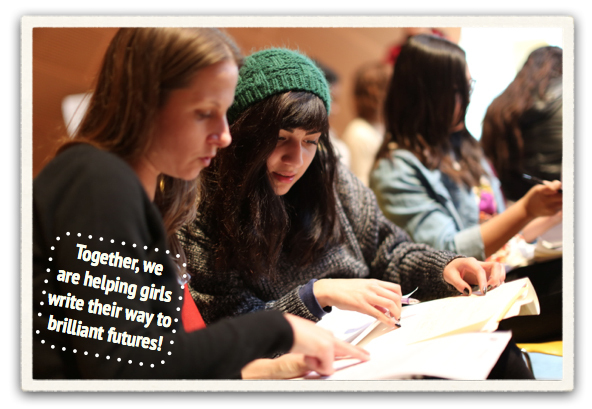 To contribute food, goods or professional services, please contact us at (213) 253-2655, or email us at info@writegirl.org. In-Kind donations are 100% Tax Deductible! 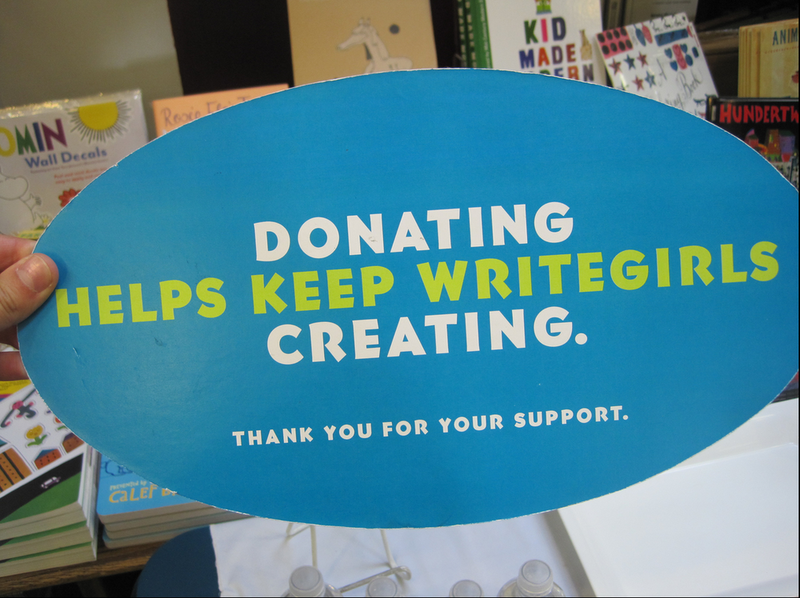 You may also support WriteGirl by purchasing our books. All Book Sales Benefit the WriteGirl Program. WriteGirl volunteers and mentors contribute more than 1,700 hours per month working with teen girls and serving our community – but we still need so much more. DONATE BY PHONE: call us at (213) 253-2655 to make a donation over the phone. 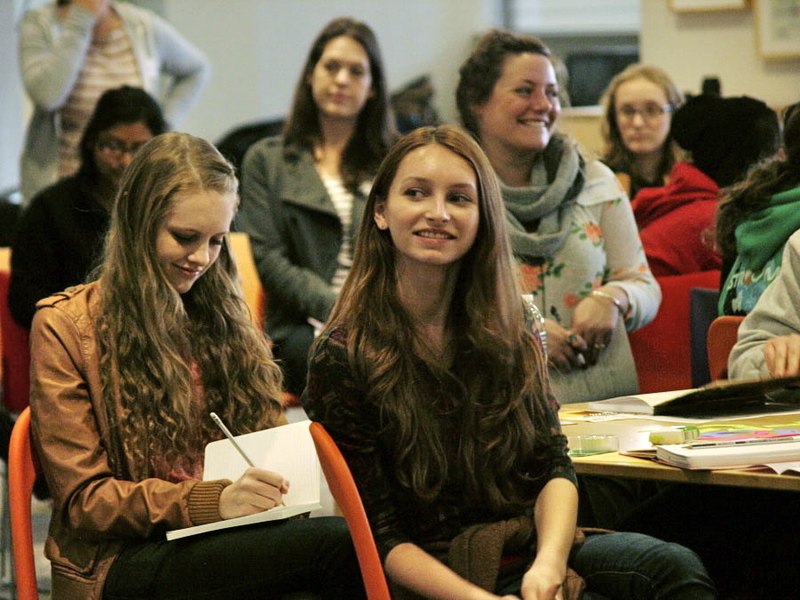 $10,000 helps sustain WriteGirl as a powerful force for change in our community. This spring, one of our teens who had been incarcerated just six months ago, was accepted to two colleges, thanks to help from her WriteGirl mentor and WriteGirl resources! 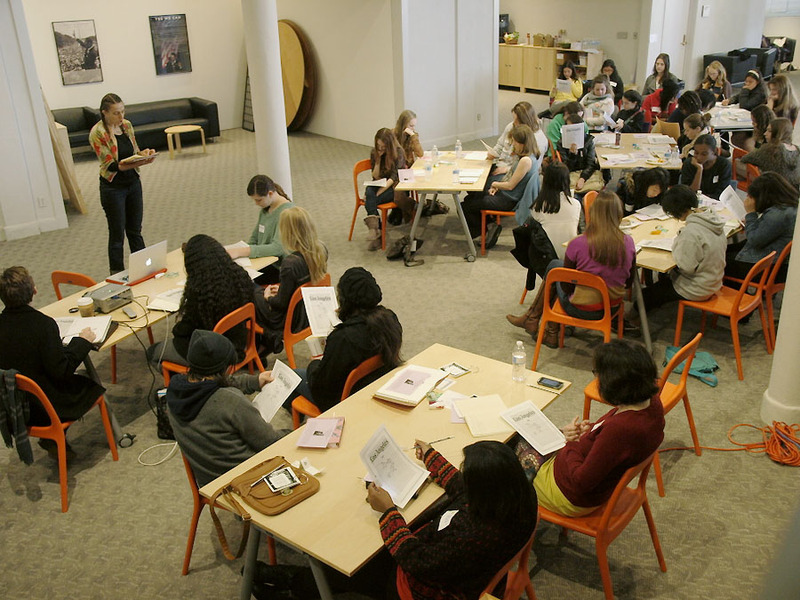 On December 2nd, a blue-skied and bracingly chilly Sunday, WriteGirl mentors and mentees traveled from all over LA to participate in the 2018 Fiction Writing Workshop at the Autry Museum of the American West. The Huntington Gardens was teeming with more than 230 women writers and teen girls at the WriteGirl Season 18 Mentee Welcome Day on Saturday, November 10. The day included writing activities, mentor and mentee matching, and opportunities to find inspiration in the gardens and museums. Support Creative Writing and College Guidance Programs for Los Angeles teens.